As you may remember, I am busy updating my workshop. On top of that I have other work that I certainly must get done. 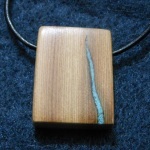 So making it out to the shop to create crafts from my juniper wood has kind of been put on a backburner. That does not mean that nothing is getting done. Actually I recently finished up a little project that was donated to a local charity for their silent auction. 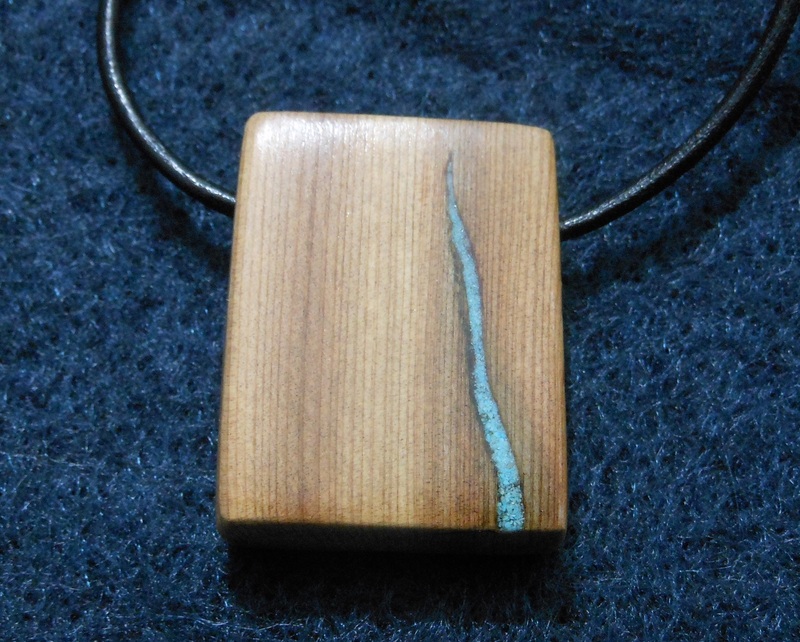 I had cut the small square from a piece of juniper driftwood a number of months ago. After sanding it down a little, I set it aside since I really didn’t have anything that I could do with it. When I learned that a realtor in Billings, Montana was having a fundraiser for a charity that she is highly involved in, I decided to go ahead and finish off the piece of juniper jewelry. It didn’t turn out quite as dazzling as I had imagined, but I still like how it looks. 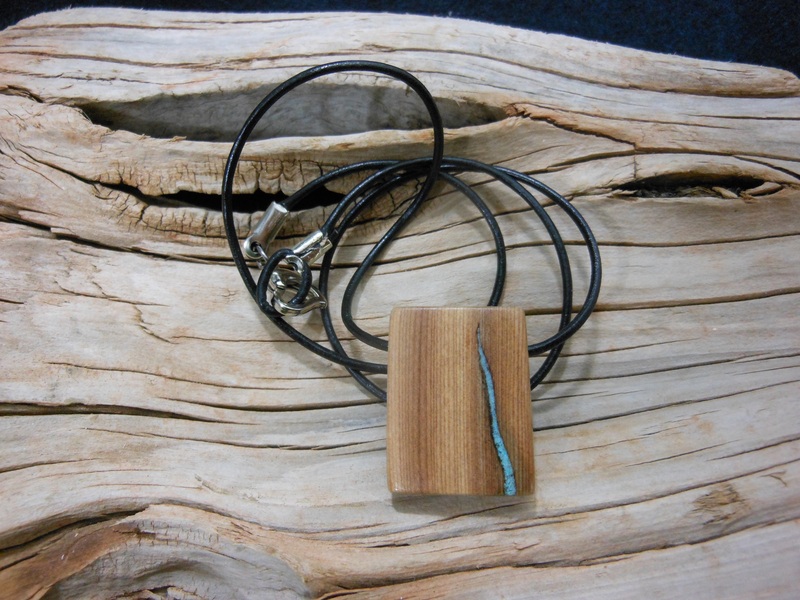 The juniper wood with a leather necklace gives it a nice rustic look, while the turquoise inlay and silver clasp command elegance. Since a simple necklace wasn’t too intriguing, I took it a step further. 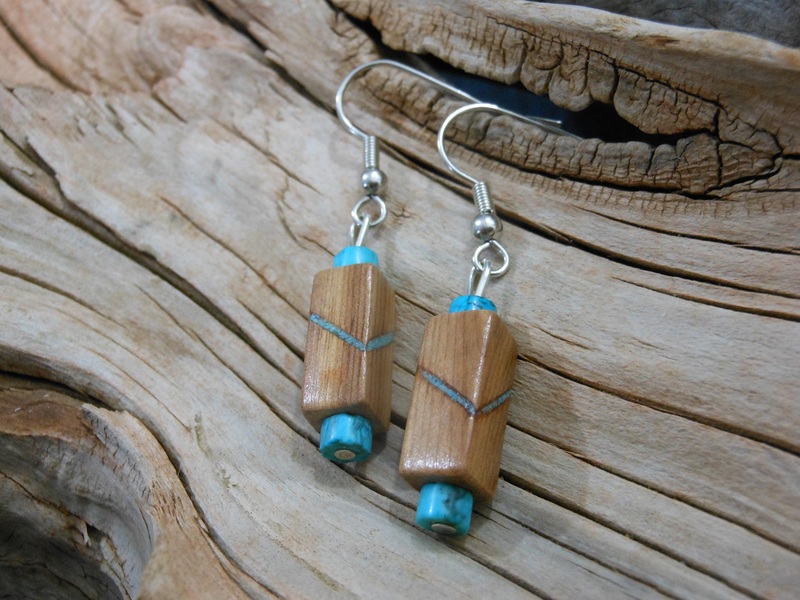 I wanted to stick with the juniper jewelry motif, and decided to make the earrings match the necklace with the turquoise inlay. These things were a pain to create. Working the small detail, and trying to get the inlay polished in properly took far longer than I wanted it to. However, the final result was a natural looking piece that was dainty enough to be worn with almost any outfit. If I was to charge my full hourly rate on these, they would have cost hundreds of dollars. But I wasn’t doing it for a quick profit, but rather because it was a fun project and the money went to a good cause. 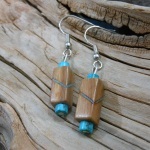 I have a few pictures up of the juniper jewelry that I have made. If you see something that you like, feel free to let me know. I can get you a quote on what it would cost, and get to work building it for you. Since I am not trying to make huge amounts of money on my crafts I put a lot of time into them. When the product is all done, I only make a few dollars per hour. 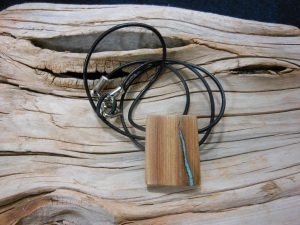 But you get a finely created handcrafted piece of juniper jewelry that nobody else in the world has. That’s why I make what I make. Send me an email and let me know what you would like. I check my email often so I will get back to you quickly.